With ride-sharing, electric vehicles and millennials who aren’t super keen on owning a car all converging, the auto industry is in a panic. But Ford, led by both Bill Ford and Ford CEO Mark Fields has created a plan to keep the carmaker relevant, even if fewer people buy cars. In this week’s show I chat with Don Butler, executive director, Connected Vehicle and Services at Ford, about moving from making cars to delivering a transportation. Butler shares Ford’s thoughts on connecting the car, the integration with the Amazon Echo, and a few things Ford has learned from Tesla. 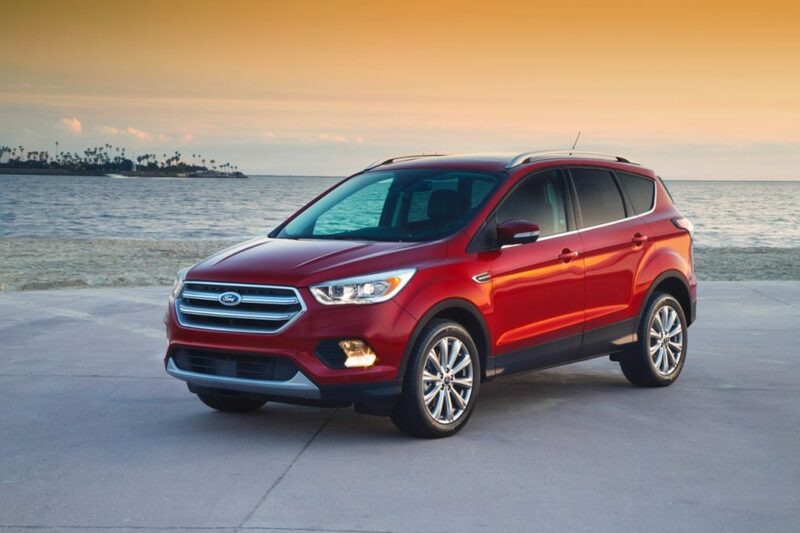 The 2017 Ford Escape is possibly the smartest car Ford has to offer said Butler. Can Intel matter in the internet of things? This week I was at CES, the huge consumer electronics trade show held in LAs Vegas. Kevin wisely stayed home, but monitored the news. It’s actually easier to do that from 2,000 miles away. There’s more news than we can cover in one show, but we started with the links between Ford and the Amazon Echo and all of the other tie ups with Alexa that were showed off at the event. We then moved to our doubts about the new Wi-Fi standard for the Internet of Things called HaLow and the news that ZigBee and Thread were trying to work a little more closely together and what that means for you. Finally, we delved into the gadgets and partnership news that caught our eye. Most of it focused on the hot new cameras in odd places, such as inside fridges and outside. But we also spent time discussing IBM’s new partnerships for Watson announced at the show. We’ll come back next week with more insights based on my final days at the show and time spent walking the show floor, but already I think we’re seeing a gradual maturation of the industry. Unfortunately it’s not in the direction we may have wanted in terms of everyone embracing open standards. Interoperability is going to come slowly through custom integrations. Put a camera in it! Did I saw Alexa was the star? Maybe I meant IBM’s Watson. This week we discuss what happens when you’re driving along in your automobile, and suddenly you’re not in control of the wheel, as happened to a Wired reporter. While, he was lucky, Kevin and I discuss the very real threat this can pose and what the industry and lawmakers propose we do about it. A great resource for the topic is I Am the Cavalry, which we have featured on Episode 2 of this podcast discussing the safety challenges of connected vehicles. After discussing the serious topic of connected cars, we move onto the worrisome future facing the Wink come hub as described by Quirky CEO Ben Kaufman at last week’s Brainstorm Tech event in Aspen. 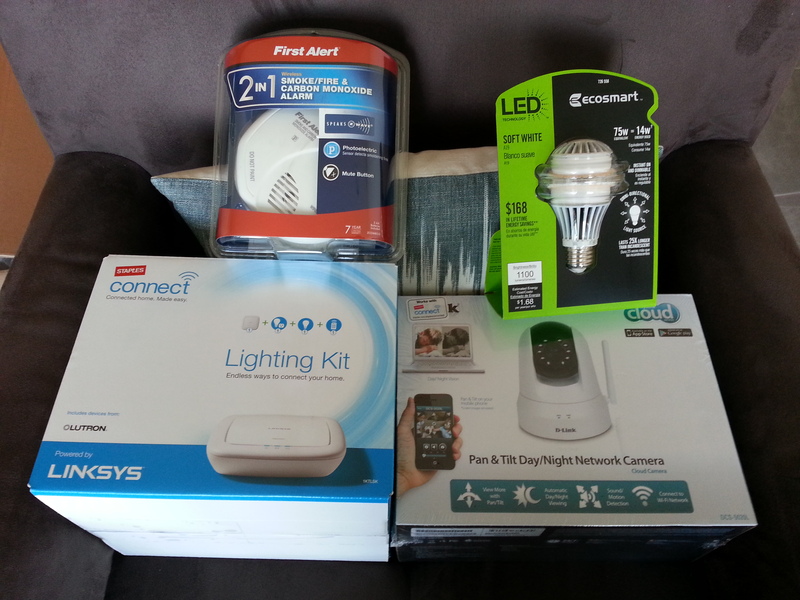 Kevin also spent a bit more than 5 minutes describing his new connected home setup which consists of Sylvania Osram lights, the Wink hub and an Amazon Echo, but we’re calling the Osram Lightify lights our 5-minute review anyhow. 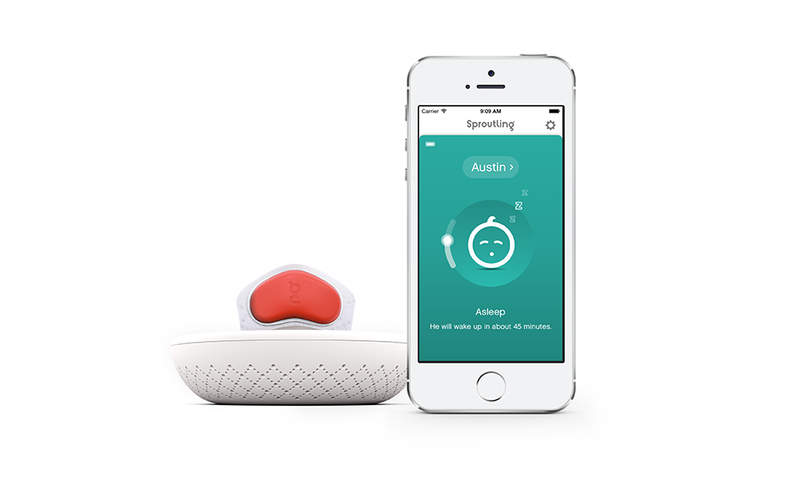 Our guest this week is Sproutling CEO Chris Bruce explaining how the crowdfunded hardware startup model is dead. Episode 8: Which devices will the internet of things drive to extinction? Hold your books and costume jewelry close because they may not survive the connected device revolution, according to Rob Coneybeer of Shasta Ventures. In a conversation on this week’s podcast he and I had a fun conversation about what devices might disappear, what objects might stay analog and what devices get more intelligent as we embed connectivity and sensors into more things. He expanded on his thinking from an earlier blog post, and we covered a huge range of products, from the future of the kitchen to clothing and building materials. Coneybeer provided insights not only into what he thought, but how he came to his conclusions, so anyone interested in how to divvy up the world of consumer products should listen to his segment. Before he went on, Kevin and I broke down the week’s news, which included Target’s move into the home automation space, AT&T’s big bet on the connected car and a new product from Honeywell that is straight out of the movies. Check out the video below. I kind of want one in my home. Finally, we cover out 5-minute review of a web site called SmartHomeDB that smart home lovers will want to bookmark. Download the podcast on Soundcloud. Posted on May 21, 2015 February 12, 2018 Categories connected car, smart homeTags AT&T, Honeywell, Rob Coneybeer, SmartHome DB, TargetLeave a comment on Episode 8: Which devices will the internet of things drive to extinction? Episode 2: Is it too late to secure the internet of things? Fans of the connected home got some exciting news when Amazon showed of its Dash Buttons, a simple, connected button that consumers could press to order a single products from the e-commerce giant. The idea is consumers would pop a Tide button by their washing machine, a Cottonelle button by their toilet and an Oil of Olay or Gillette Fusion button by their medicine cabinet, and as they run low, press the button to order more. It was an idea so simple that it seemed ridiculous and people wondered if it was an April Fool’s prank. The experience prompted me to ask this week’s guest Joshua Corman to come on the podcast to speak about his efforts with an organization called I am the Cavalry, a collective of hackers, researchers and activists trying to build a more secure connected future. 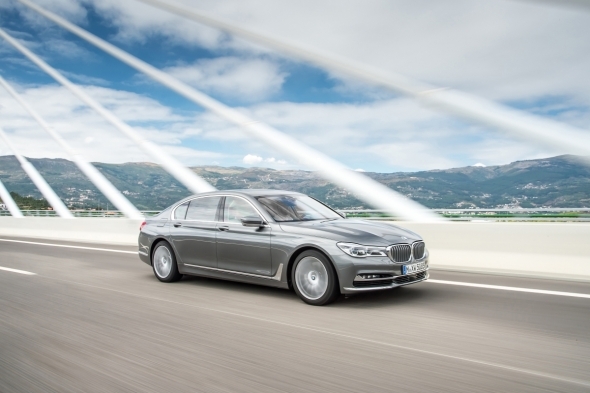 We spent a lot of time discussing the group’s framework for connected cars, but it’s a framework that will translate well to other aspects of the internet of things. So get ready to feel very insecure (watch Corman’s TED talk to feel worse) and to learn a bit more about Kevin Tofel’s odd network habits. Are today’s cars a BP oil spill waiting to happen? 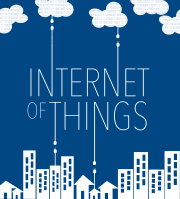 Posted on April 8, 2015 February 12, 2018 Categories connected car, smart home, UncategorizedTags Amazon, Josh corman, Philips Hue, security3 Comments on Episode 2: Is it too late to secure the internet of things?